Small regulatory RNA molecules are vital for salmonella and other bacteria potentially harmful to humans: This RNA type controls gene activity and allows bacteria to quickly adjust to changing conditions of living and stress as are typical during an infection, for example, when entering the blood stream or inside human cells. Professor Jörg Vogel, head of the Institute for Molecular Infection Biology of the Julius-Maximilians-Universität Würzburg (JMU) in Bavaria, Germany, is a pioneer in researching small regulatory RNA molecules. He and his team are determined to get to the bottom of how these molecules work and act. His works could also show new ways to fight pathogens. New findings from Vogel's team have now been published in the journal PNAS: So far, two proteins (Hfg and CsrA) have been known to bind closely to the bacteria's regulatory RNA molecules and influence their activities. Using a new self-designed method, the Würzburg team has now discovered a long-suspected third protein (ProQ) whose function inside the cell has been unknown until recently. Experiments showed that the ProQ protein binds to 98 regulatory RNAs of the enterobacterial Salmonella enterica. The bacterium has been found to have around 300 such RNAs in total. Moreover, ProQ seems to have specialised in RNA molecules with a rather complex structure. 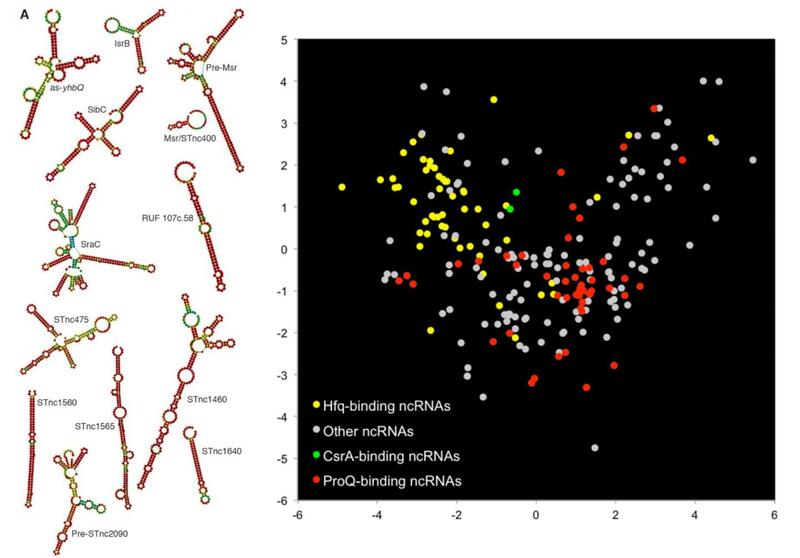 This protein and the RNA molecules that bind to it represent a largely unresearched class of gene activity regulators in the bacterial "RNA universe". "It will be particularly exciting to find out how ProQ is able to pinpoint the highly structured RNAs among millions of other RNA molecules in a cell," says Jörg Vogel. These results have been reported in PNAS by the Würzburg professor together with Alexandre Smirnov, Konrad Förstner, Erik Holmqvist and Regina Günster as well as colleagues from Greifswald and Cologne. Considered highly significant for bacterial research, the new findings are featured in the journal's "Research Highlight" section. A new technique developed by the JMU team has successfully tracked down the activities of the ProQ protein. "The methods available so far were subject to certain limits with regard to detecting and generally classifying RNA protein interactions which we have overcome here," Professor Vogel further. Since the new method can basically be applied to any other organism, it is expected to provide more progress in researching regulatory RNA.